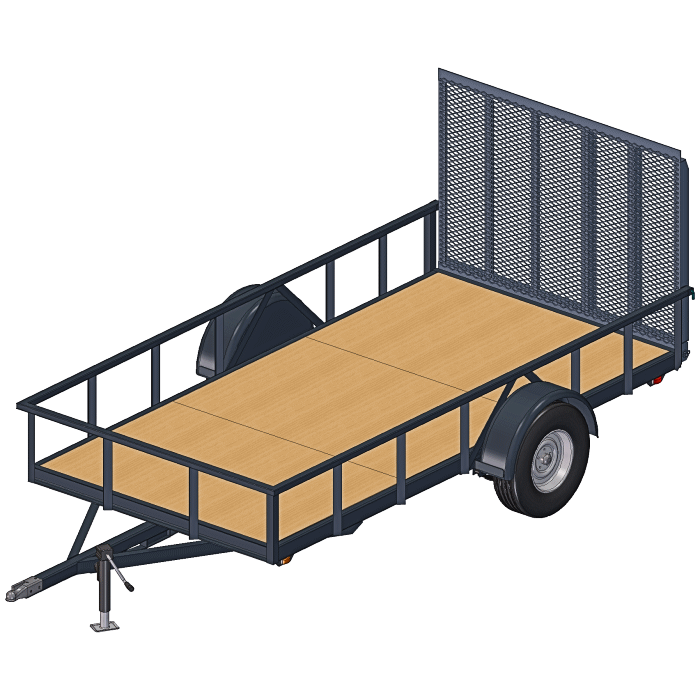 The 6×12 utility trailer is the most popular of our 6′ width trailers. It’s great for business, landscaping projects, ATV’s, moving, . . . you name it. Lots of volume, yet very maneuverable and it tows very well. Build a great trailer, in a great size, and build it to last. 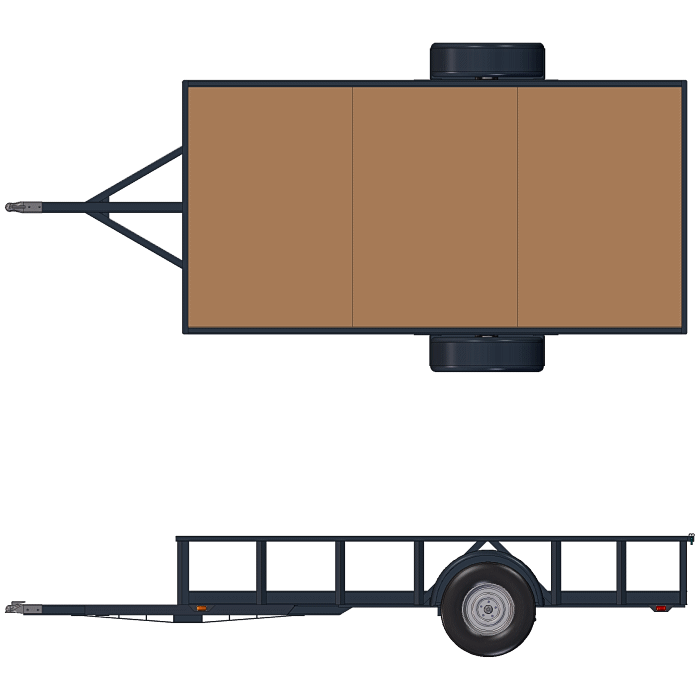 For higher load capacity in the same trailer size, check out the 6′ x 12′ 6000/7000 lb blueprints. 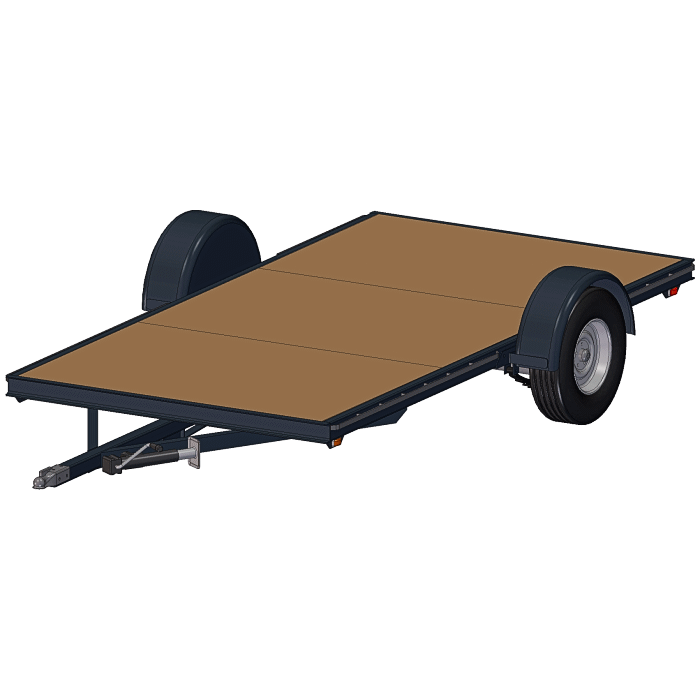 We also have 6×10 Trailer Plans in 3500 lb capacity as well as 6000/7000 lb capacity. 6′ x 12′ nominal bed size. 3500 lb. trailer axle rating. Option for rear Tailgate that folds to a Ramp. See the above images. Several options for the deck and for trailer sides. Removable ramp that stores under the trailer, then lots of tie-down points. Includes bonus plans for making a motorcycle travel stand. * Bed size on these 6×12 utility trailer plans is 2″ wider than 6 ft. and 3.5″ longer than the 12 ft. length indicated. Total length with the tongue is ~199″, though options may change that for your application. Axle capacity is 3500 lbs. * This is the total load capacity which includes the weight of trailer and options. Typical dry weight is 800+ lbs for the simple flatbed version. However, adding options like sides or tailgate or toolbox will make it heavier. There are many options are in the plans to extend function. Some options are mutually exclusive, but not all options are in these pictures. See the animated image for some of the ideas. 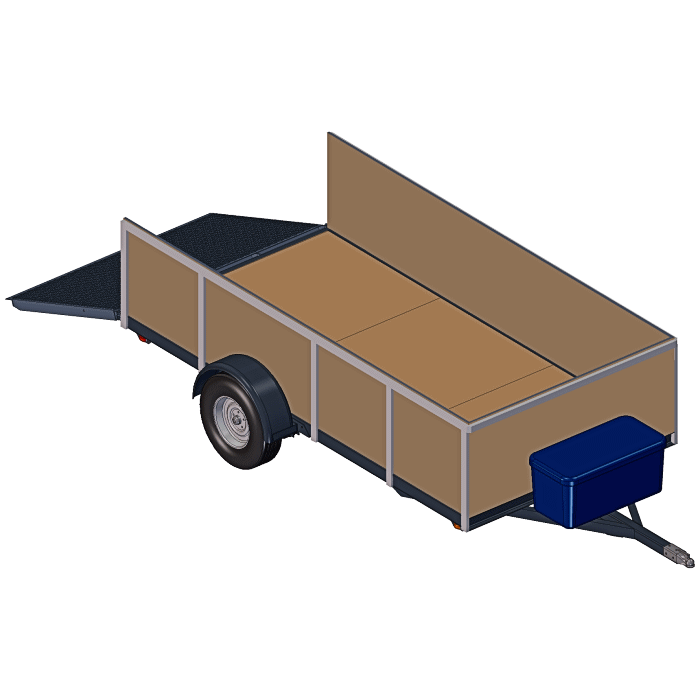 These 6×12 utility trailer plans also include customization ideas for special uses – from ATV & motorcycles, to trash or furniture or landscape needs.